Social media marketing has become one of the most important things for any business owner or marketer. However, it’s also important that you engage in social media advertising. The two are not interchangeable. Social media marketing involves engaging with your audience, commenting on posts, sharing interesting information and the like. Social media advertising is utilising the tools and platforms provided by the network to create ads and get them in front or your target audience. Of course, not all networks are worth your time and effort. Here’s a list of the most important social networks, and what each can offer. It should come as no surprise to anyone that Facebook leads off this list. With 1 billion registered users and almost 700 million active users every single day, it’s the largest and most all-encompassing network out there. You’ll also find that Facebook has one of the best-developed advertising platforms. You can choose to advertise almost anything, and you can do so without spending a lot of money (if you’re careful). The most important things to know are to ensure you target the right audience per ad, and that you carefully choose your keywords. While Twitter might have lost some of its oomph in recent months, it’s still a powerhouse for marketers. It’s a huge network that connects the entire globe. It’s also a great platform for communicating with your audience. With that being said, you can use it to advertise effectively, as well. You can target existing users, followers of other accounts, specific genders, users in specific locations, users with specific types of devices, TV audiences or by any of 350 different interests. You can also promote individual posts, or you can promote your page itself. Yes, LinkedIn is primarily a B2B network. However, it’s a very powerful tool if your business falls into that category. You’ll find that LinkedIn’s ad system is very similar to Facebook’s, although it doesn’t have quite the same features in terms of audience segmentation. You can target your ads by job function, by company size, by job title, by age and/or gender, by geographic location, by group membership and industry to name just a few. With that being said, if your business, product or service isn’t in the B2B segment, this network might not be for you. Google Plus, or G+ if you prefer, is Google’s answer to Facebook. It doesn’t have anywhere near the membership, but don’t let the numbers fool you. Sure, G+ might only have 300 million registered users in comparison to Facebook’s 1 billion, but a +Post (the name given to G+ ads) can be sent to the entire stream of Google products, from their photo suite to YouTube and everything in between. Of course, the search engine giant doesn’t release specific reach numbers, but the sheer ease of repurposing a single ad for all needs has immense appeal in terms of saving you time, money and sanity. 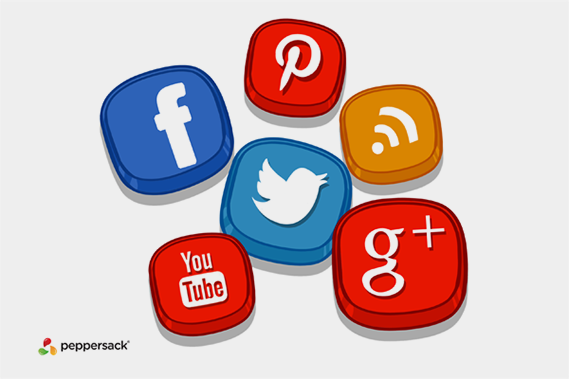 With the right social networks, you can dramatically improve your reach and profitability. In addition to those mentioned above, consider smaller, up and coming networks that might be a better fit for your business.